Whole North Korea in Tears over loss of great Leader Kim Jong Il: Tears in their eyes and anguish plain on their faces, these videos show the people of North Korea in mourning at the sudden death of leader Kim Jong Il. The footage, taken in the capital Pyongyang, shows hundreds of people weeping and punching the ground in despair in front of a memorial to the 69-year-old dictator. 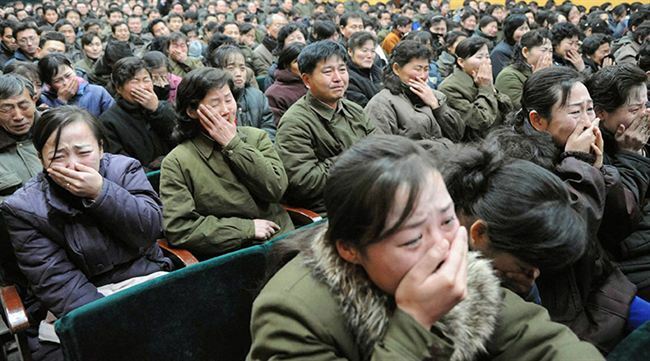 School children, factory workers and armed service personnel can be seen crying in front of images of the diminutive leader.